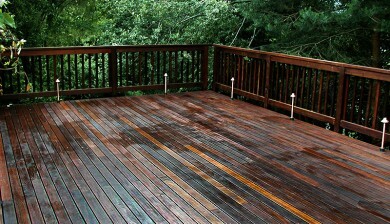 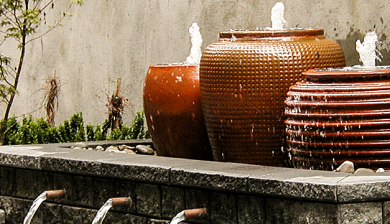 This customer wanted a new water feature in the back garden with enough sound to drown out the nearby road noise. 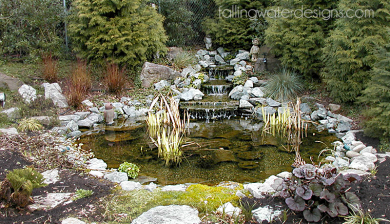 The pond is about 14’x10’ with a waterfall about 25’ long. 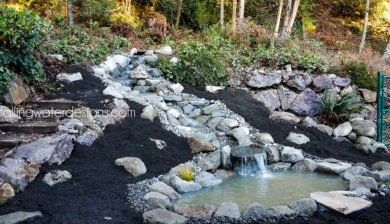 We removed the chain link fence, installed a new water feature and underwater and terrestrial lighting. 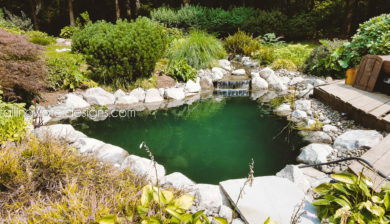 For this client they wanted their old and small goldfish pond removed and a bigger and beautiful koi pond created in it’s place instead. 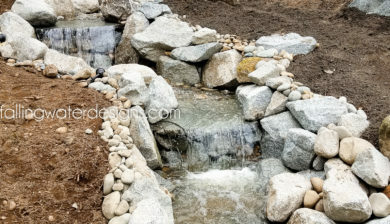 The Koi pond when finished was about 13ft by 12ft and a little deeper then 3ft deep and also included a 12ft long waterfall into the pond.